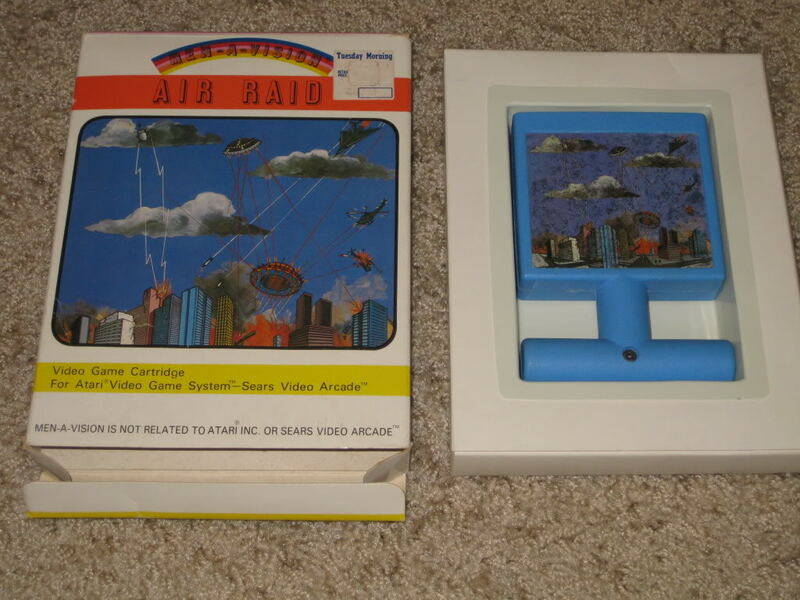 Re: Atari 2600 Air Raid box found? I covered this back on atariage during the auction. It was a long time ago, but the box looks very familiar. I remember having a game box with a rainbow on the top. I also remember the plastic insert that the game was in because I had the insert for years after the box was thrown away (I am going to look for the insert again this weekend). The only box I kept was Frogger...I now regret that choice. I also believe it is the box because I purchased my copy from the same Tuesday Morning in Arlington, TX back in the 80s. Our stories are way too similar to be a hoax. Very interesting, either it's real or he's remembering it differently (it has been almost 30 years, after all).